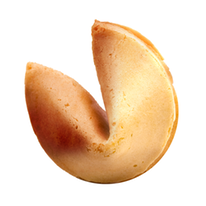 This cookie would be very bland without a fortune inside. Words count! Copy that’s SEO-friendly is essential in today’s marketplace. But it’s equally as important to capture and hold the attention of consumers once they are driven to your website. No one wants to be a one-click wonder. Quickly. Succinctly. Meaningfully. It’s selling that goes far beyond algorithms and searchable phrases. And it takes an experienced copywriter like me to create a distinctive, powerful voice for your message.